The documentarian talks about movie reenactments, war criminals and the power of remorse. Time Out: You originally set out to make a much more conventional documentary about the victims of the Indonesian killings of 1965–66, correct? Joshua Oppenheimer: I was going to focus on a community of survivors…the point of view of the doc that I had set out to make would have been much more familiar. I’d gone to Indonesia in 2001 to make a film called The Globalisation Tapes (2003), about these plantation workers—there was a herbicide that was destroying the workers’ livers and they were trying to form a union. I knew a lot of this community from working on that film, and I wanted to expose what happened to them. But every time we would film them, the military would stop us, the police would stop us, the plantation’s security would stop us. We realized there was no way for us to do this safely, at which point one of the survivors said, “Josh, why don’t you talk to the perpetrators themselves? Film them boasting about their deeds, and then the audience will see for themselves why we are so afraid. They’ll see this regime was built on celebrating mass murder as something heroic.” So I started interviewing as many perpetrators as I could, beginning with my next-door neighbor in the village where I was staying—who was somebody who had not only committed a lot of atrocities, he would brag to the relatives of his victims about what he’d done. I worked my way across the region, going up the chain of command, and found that within minutes of asking these men even the most innocuous question, like what did you do for a living, they’d immediately start bragging about what they’d done to these “communists” and how they’d done it. Most of them would then say the same thing: “Well, I suppose you’d like to see where we did this, right?” They would take me to the spot and, quite often, just launch into spontaneous demonstrations of the act itself. Or offer critiques: “Oh, it wasn’t really good enough, it’d have been so much better with machetes or clubs.” There was a tendency for both embellishment and reenactment from virtually everybody. I started saying, “Okay, you participated in one of the biggest killings in human history…your lives are shaped by it and your society is totally based upon it. Go ahead and tell me any way you want, let me film the process; let me see how you imagine these events.” There were 40 people I’d talked to; Anwar was the 41st. Time Out: How did the idea go from combining a number of these stories to focusing on one of them? Joshua Oppenheimer: I lingered on him because his pain was right at the surface. The first time he saw footage of himself, he seemed very disturbed…he wouldn’t admit to it, but it was very obvious. He’s never been forced to admit what he’s done was wrong before. It’s… Well, it’s a very human trait, I think. If you or I had done what he had done and had an opportunity to justify those things, we would, because otherwise, when you wake up in the morning and look in the mirror, you see a mass murderer staring back at you. Time Out: You wonder if someone like Anwar, consciously or subconsciously, didn’t go into this with the notion that this would be therapeutic to him. Joshua Oppenheimer: I think that’s a really good point, actually. My goal, as I said, was to expose a regime on behalf on the Indonesians who suffered. I think I saw the embellishments, the lavish scenarios, the dancing on the roof as an extension of that impunity I mentioned…that you can literally get away with murder and make a spectacle out of it. There were many times when I felt as if I had walked into Nazi Germany 40 years later—with the Nazis still running the country and the Gestapo considered national heroes. But now, I think I was a little…[Pause] blinkered to the role that his conscience played in all of this. Because my original goal was purely political, I think I was initially blind to how much pain this man was in. Your statement brings up an interesting paradox, in that he’s both trying to distance himself from these events by making them movie scenes, and he’s trying to work through them to get to the point of genuine remorse. Every reenactment he proposes implies utter denial of what he’s done, so each of these scenarios he constructs around the violence he’s caused—it’s asserting that it was only an act to him. Yet they very obviously bring up a lot of real anguish in him…you can see it. That is not an act. So it becomes this very complicated thing where he’s poking at his wounds and opening them up again. Time Out: It’s a fine line to walk here: You want to let him work up to these moments of self-realization, but you don’t want to let him off the hook. Joshua Oppenheimer: If the film isn’t sentimental, it’s because I was never trying to bring Anwar to that point of redemption. On the contrary, I was trying to show the world someone who committed horrible crimes and acted as if he were a hero. But in the end, we see how wrecked he is by all this. Time Out: Were you at all worried that, by giving Anwar this forum, you might somehow be complicit in his delusions and in keeping this “these killers are war heroes” myth alive? Joshua Oppenheimer: No, not at all, because I could see how from the very beginning that what they were doing through this forum was actually unmasking this regime—which really speaks to how this film has been received in Indonesia. In a way, the movie has become the child that tells everyone the emperor has no clothes on. Everybody knew that something horrible had happened in the ’60s, even if they never really knew the details. Everyone knew that this regime has lived off of those atrocities and the fear they caused. They knew corruption was and is rampant; they knew a political vacuum had been formed off of acres of mass graves. And by the perpetrators themselves showing how ravaged they are by all this, how violence destroys both parties, it indicts the system. By the end of the film, you can say that yes, these men have escaped justice—but they have not escaped punishment. So the regime can no longer say these men are enjoying the fruits of their “heroic” labors anymore. Time Out: Given the opposition to the film by the powers that be in Indonesia, how have you been able to show the film there? Joshua Oppenheimer: Right. Indonesia still bans films, especially if they have to do with human rights. But the country’s biggest newsmagazine, Tempo, led the way by publishing a special double edition of their magazine, collecting reviews and essays and comments about the film. That sparked the rest of the Indonesian media to start looking into the film and investigating what its subject was. We were able to hold a number of invitation-only screenings at the National Human Rights Commission in Jakarta, to show it to journalists, artists, educators, historians, writers and filmmakers, and they embraced the film. We were able to mount 50 independent screenings in 30 cities in December; they continue to grow exponentially. We still get threats from the army, as do the members of the crew. Time Out: I know you didn’t do this for effect, but when the word Anonymous shows up dozens of times in the credits, it’s chilling. Joshua Oppenheimer: It was clearly too dangerous for most of the Indonesian crew members to list their names; there would be repercussions. On the other hand, there are people who put seven, eight years’ worth of their lives into this project. It was important to me to represent everyone individually regardless. I didn’t want to clump them together under one credit. Everyone in the crew got their own Anonymous. Time Out: You’ve talked about the toll that this project had on Anwar, your crew and several of the survivors; what sort of toll did it take on you? 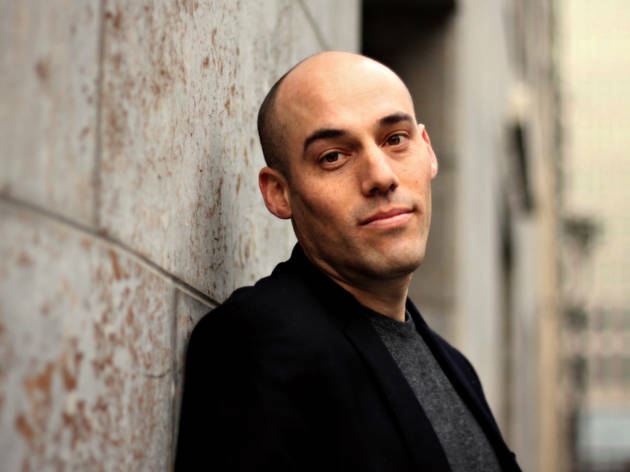 Joshua Oppenheimer: Do you remember the noirish scenes in the office? The ones in which Anwar plays the victim? Joshua Oppenheimer: I was already fairly close to Anwar at that point, so to shoot those scenes over several weeks was harrowing for everyone, including me. I’d have horrible nightmares, then would get insomnia because of the nightmares. Then I’d become so exhausted that I’d crash after three, four days of not sleeping…then the nightmares would start again. That went on for six to eight months. I finally got through it with the help of my crew. Time Out: I’m sorry, but how were you able to get close to someone who’d actively participated in the murder of thousands of people? 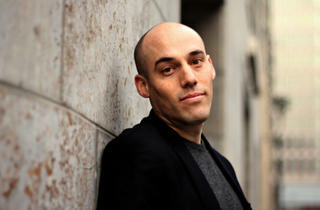 Joshua Oppenheimer: I told myself I would never forget my moral condemnation of his crimes. I never did. I don’t think the film ever loses sight of that. You mentioned therapy before; a therapist has an obligation to help his or her patient. I wasn’t there to help Anwar, I was there for the victims of his crimes. I also told myself, however, that I would never forget that these people, the ones who did these things, are also human beings. I still keep in touch with Anwar. I still worry about him. I mean, I don’t think you can make an honest film about another human being and not feel close to someone. I may not like him, but…[Long pause] I have a love for him. We went through something together in making this film. Time Out: He’s seen the finished film, yes? Time Out: He said that? Joshua Oppenheimer: It is a funny thing for him to say, but you have to realize that he knew he would come under pressure from paramilitary groups there to denounce the film. He won’t do that. Time Out: How did Errol Morris and Werner Herzog become involved with the film? Joshua Oppenheimer: Errol came on board as it was edited, and he helped build a discourse—both with me as I was putting it together and later, with the public as it’s started going out in the world. Werner saw the film after it was finished, and he looked at cuts as we were shortening the film to its current cut. They’ve both been wonderful ambassadors for the film. You know, Werner told me at one point, “You know, Josh, art doesn’t make a difference.” I felt deflated. Then he looked at me in that pregnant-pause manner that he has, and he said, “Until it does.” It was a reminder that the film hasn’t caused change. But activists have said that this has fundamentally changed the conversation in the country around these events, around its past. Killers no longer boast about their deeds. It has been a catalyst, and something may come out of that one day. The Act of Killing screens at Cinefamily on Friday, August 2 and Sunday, August 4 through Wednesday, August 7.